"Becoming Josephine" by Heather Webb~Enchanting! There are few women of history who are more fascinating than Josephine Bonaparte. I've often thought of her as the most mysterious and exotic of women, but never knew what it was about her that captured one of the most powerful men of all times. Heather Webb has gone a long way to answer many of my questions. 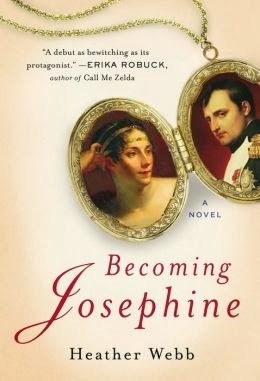 Her book, "Becoming Josephine" is the best of any I've read thus far that attempts to portray Josephine as a real woman with depth and character. This is an extremely worthy book of historical fiction. While it's not a long book, or it doesn't seem so when you're reading it, this one is fraught with many wonderful details about Josephine and her life in its early and later times. It builds her persona from her days as a child on Martinique, explaining her roots in religion and the exotic which she brought all the way through her days as the enchanting Empress who won the heart and soul of Napoleon. She lives in the pages of this novel as we've never seen her before. I thought the best element of the book was how Ms Webb "aged" Josephine along as a person who was young and searching for the fulfillment of her life, to a woman who had discovered and embraced her destiny. It's this search for her authentic self that is so charming and persuasive in the novel. We travel along with her through her times of love, horror, loss and majesty to the end when she can look back on it all. I loved this broad overview and found it never bogged down by too much in one time frame or relationship in her life. 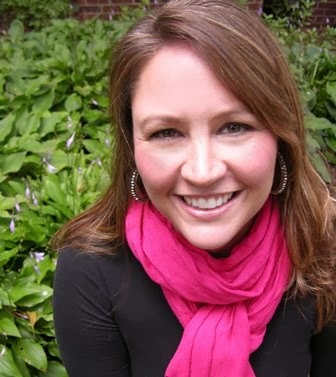 Heather Webb is a gifted writer who captivates and carries us along with her as she tells her story. Josephine is a living, breathing person in this novel. One who will absolutely convince you of her unique spirit and gorgeous allure. *This review is brought to you in cooperation with Historical Fiction Virtual Book Tours; however, the review and all opinions are strictly my own.